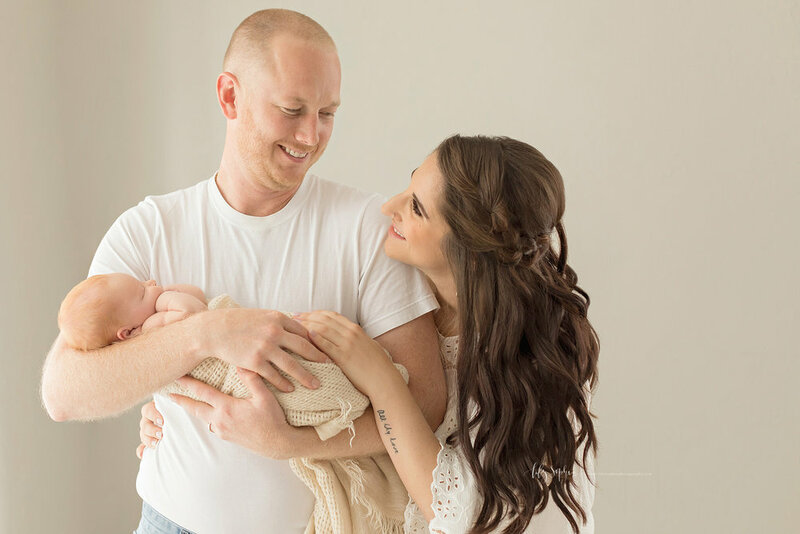 I first worked with Rachael & Dillon for their maternity session in the park, where we had so much fun! You can view some of the gorgeous images from their shoot by clicking here. The big question we all wanted to know the answer to was whether or not their baby boy would have red hair like his dad! 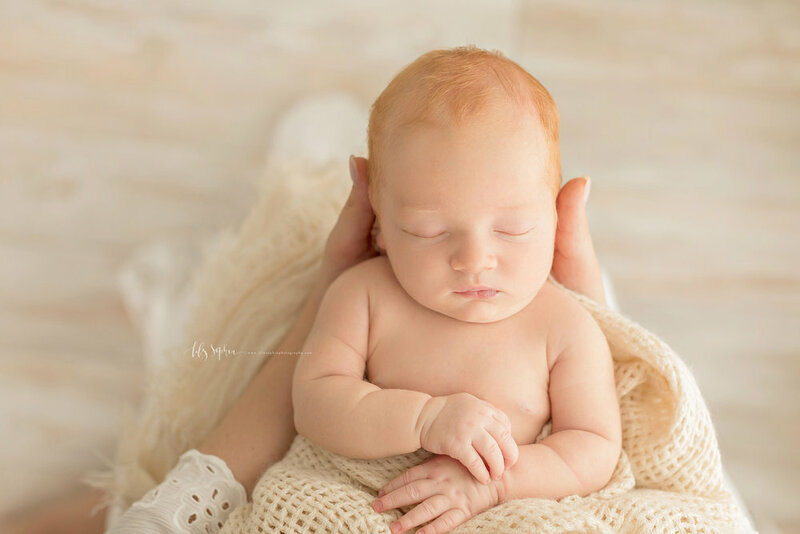 I was so looking forward to hearing how it all went and getting to meet baby Sage at their newborn session. Rachael let me know that Sage had arrived safely and asked to add on hair and makeup services again. She did not want to have to deal with getting herself ready for the session running on little to no sleep, and she already knew exactly which dress she planned to wear from the studio wardrobe. 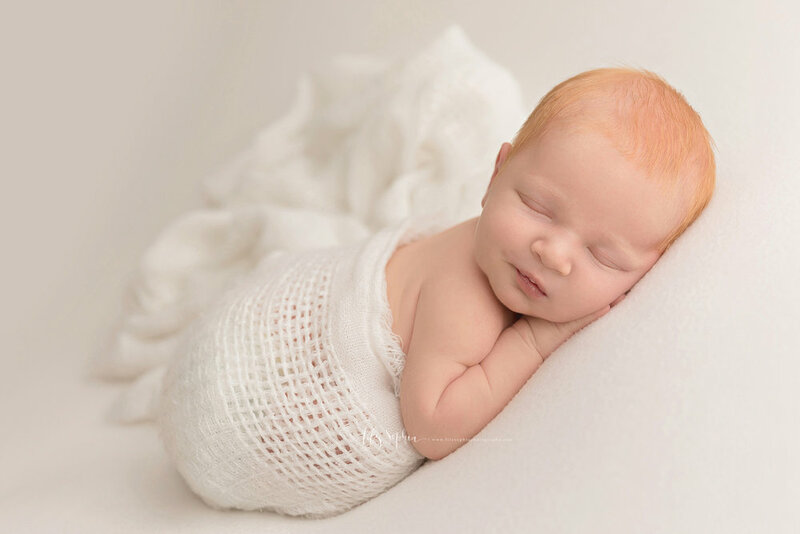 SO many of our newborn clients who work with us for maternity beforehand have a good idea of which dress they’re going to wear for their newborn session. Sometimes it’s just a matter of waiting to see what fits well if their bust grows a bit due to milk production. It’s different for every woman. 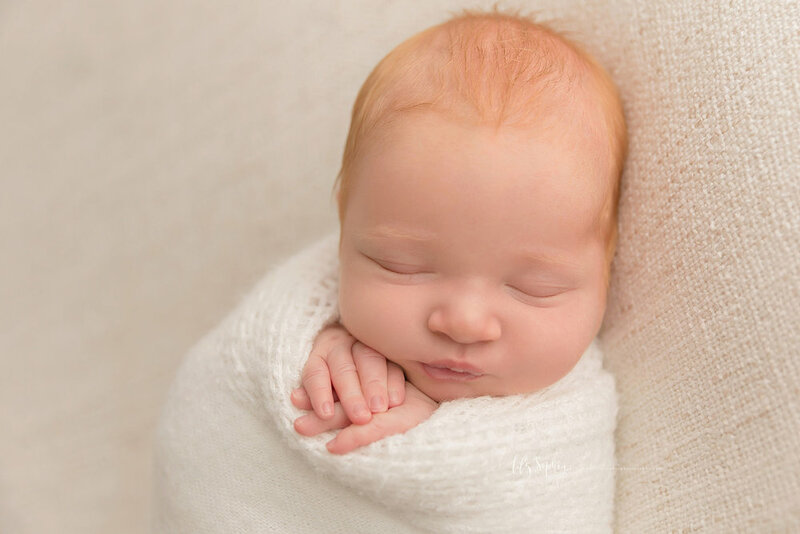 When they arrived at the studio, I peeked inside the carseat and squealed when I saw that Sage DID indeed have red hair just like daddy! Rachael and Dillon both said that they weren’t at all surprised. 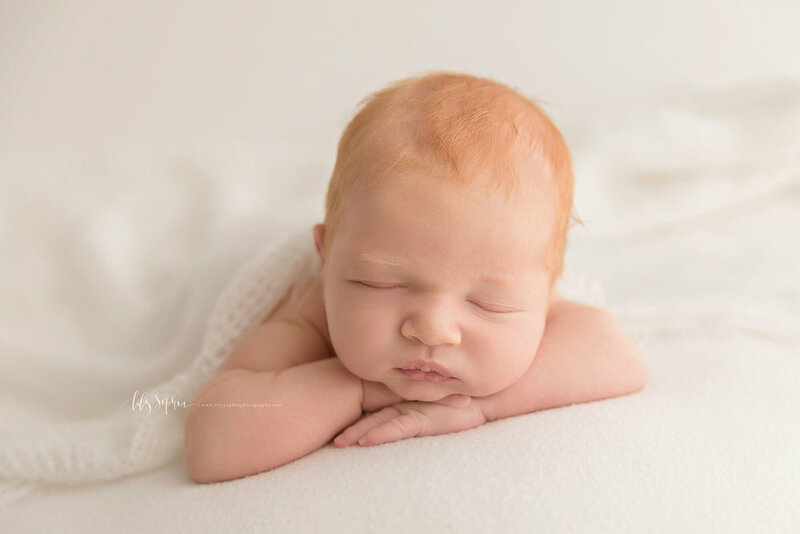 We have had so many gorgeous redhead mamas in the studio but this was our first newborn with red hair that we could see! 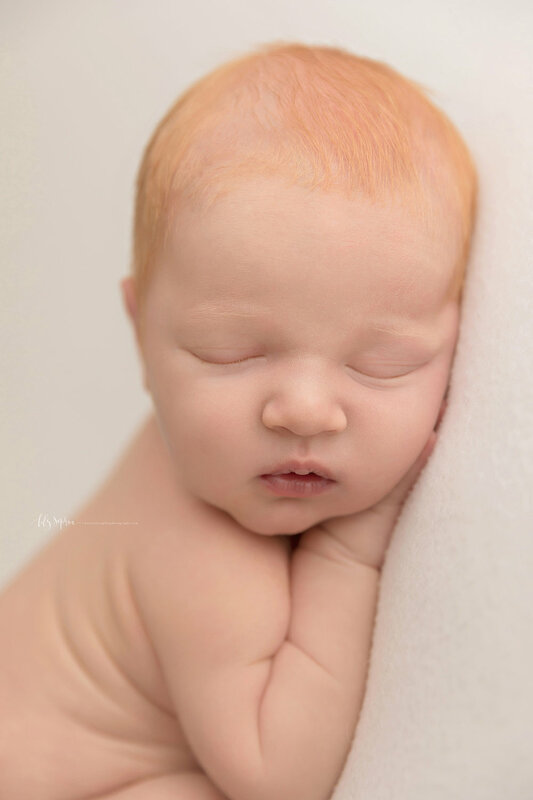 A couple of our newborns went on to have red hair when they were older. When I came out with Sage, Rachael will still being prepped. Sage needed to nurse, so it was perfect timing. 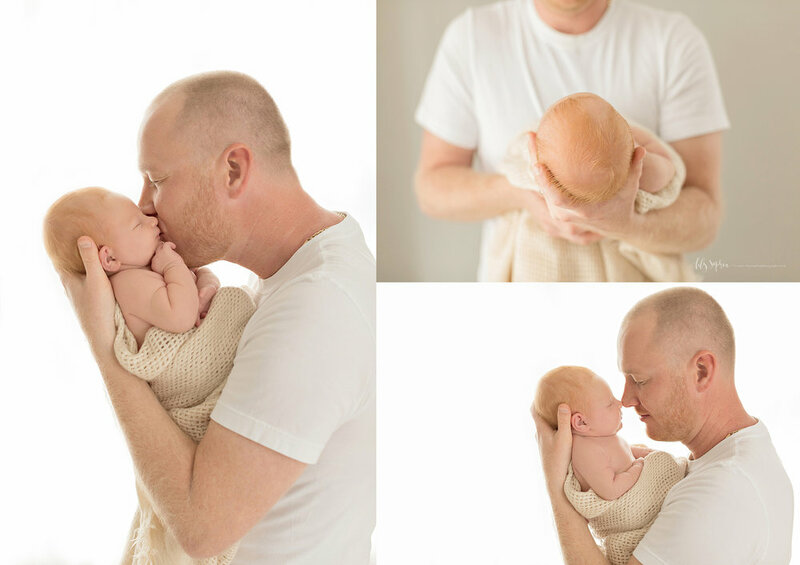 He was also a quick nurser, so when he finished up I went ahead and started with daddy and baby shots. I always keep moving along when baby is calm and sleepy. Rachael joined in shortly after, and it was just the sweetest thing to see them holding their son. 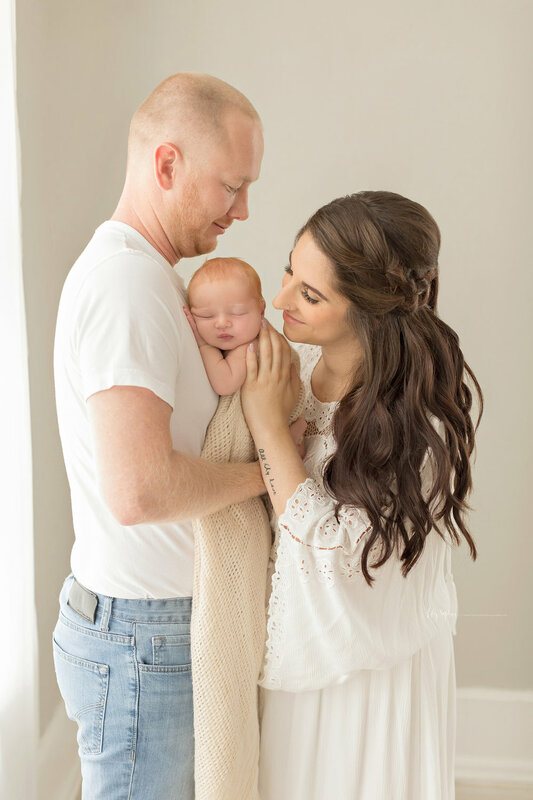 Rachael and Dillon had miscarried a baby prior to becoming pregnant with Sage, and were very open about it with others. 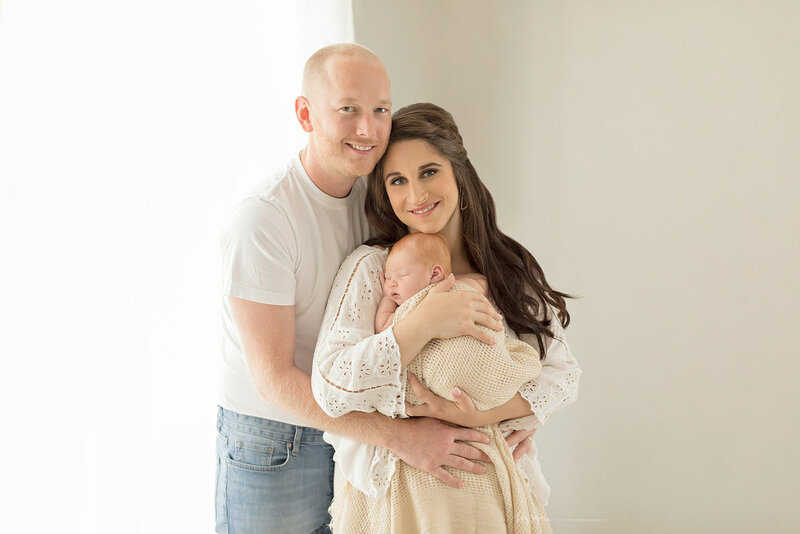 They referred to Sage as their rainbow baby, and were very grateful to be his parents. 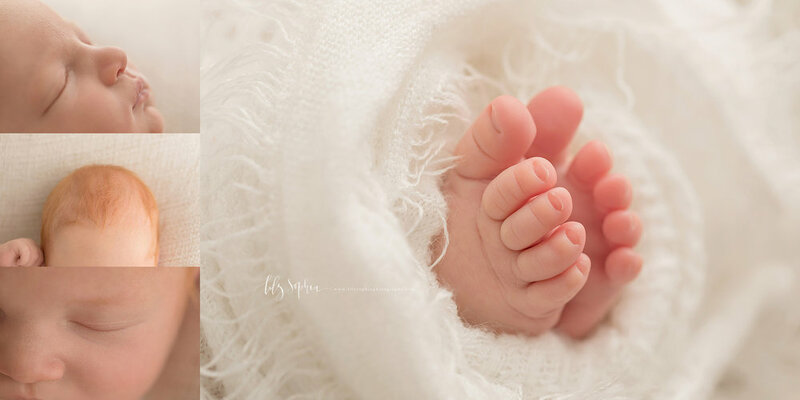 It’s a strange place to be in: celebrating the baby you have while still grieving for the one you lost. If you are experiencing this, I want you to know that you are not alone. I have heard countless stories, given many tearful hugs, and supported both clients and friends along the way of navigating loss. 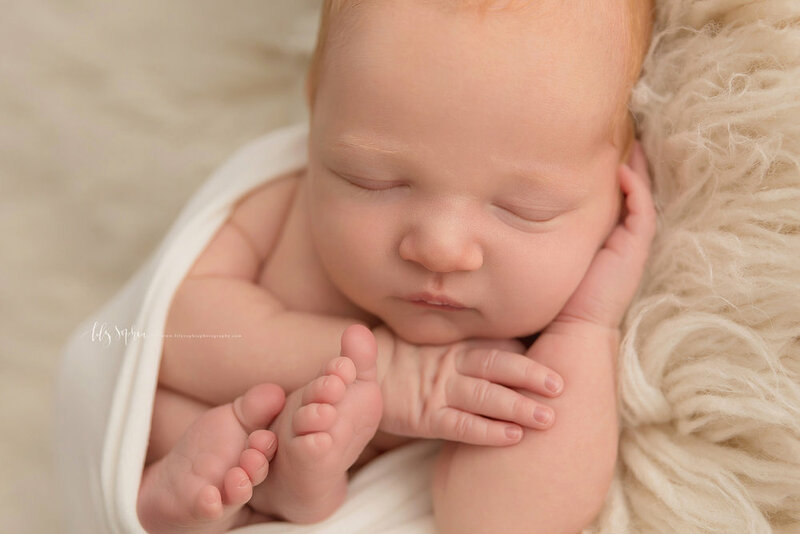 Enjoy some of my favorites from this absolutely joyful newborn session!